Abt's Connect Computer store carries a wide variety of desktops, laptops and netbook computers. We carry top brands like Apple, Toshiba, and HP. We even have a wide selection of computer accessories such as additional memory, web camera and software. Simply click on the topic you are interested in and you will be taken to an overview of the product category with simple explanations that will help you make informative decisions. If you need further assistance, please contact an Abt sales associate directly via phone, live chat or in our retail store. Learn about the different types of memory cards & memory sticks with Abt's Memory Card Buying Guide. Research what to look for in a memory card before buying. Research the different operating systems & storage capacities with Abt's Desktop Computer Buying Guide. Learn about the different types of video game consoles to choose the right one for you with Abt's Video Game Console Buying Guide. 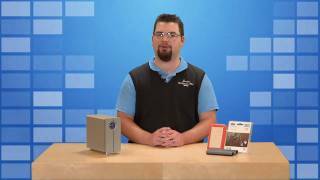 Learn what an external hard drive is with Abt's External Hard Drive Buying Guide. Research external hard drive types, sizes, & capacity before buying. 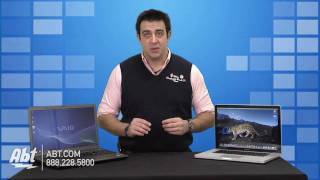 Learn about the different types of laptops & accessories with Abt's Laptop Buying Guide. Research laptops to find the type that best matches your needs. Research tablet operating systems, sizes, features, & more before you buy with Abt's Tablet Buying Guide. 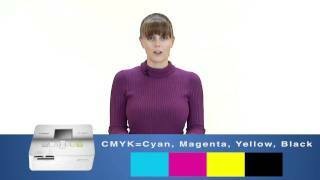 Research the different digital printer types & features with Abt's Digital Printer Buying Guide. Learn about the different types of recordable media, such as CDs, DVDs, and Blu-ray, with Abt's Recordable Media Buying Guide.